SMYRNA, Ga. – The man who shot an attempted carjacker at a Smyrna car wash said he warned the suspect several times before firing his gun. On April 3, police say a 15-year-old boy approached a woman washing her car at the Fast Track Car Wash at the corner of South Cobb Drive and Highlands Parkway. The boy then jumped in the woman's car, locked the doors and tried to drive off. The woman jumped on the hood of the vehicle in an attempt to stop the suspect. Seeing what happened, a Smyrna city employee pulled out his gun and shot the suspect in the shoulder. The Good Samaritan told 11Alive's Valerie Hoff by phone on Monday that he repeatedly yelled for the carjacker to stop and he fired his gun because he thought the woman's life was in danger. The man was back at work in the city of Smyrna's IT department on Monday, and is not facing any charges. SMYRNA, GA (WXIA) -- An attempted carjacking was thwarted by an armed Smyrna city employee Friday afternoon at a car wash at the corner of South Cobb Drive at Highlands Parkway. Police said it happened at about 3:30 p.m. at the Fast Track Car Wash. Smyrna Police Officer C.D. Graeff says a juvenile male approached a woman washing her car at the car wash, jumping into the car and tried to drive off. The victim, Graeff said, jumped on the hood of the vehicle in an attempt to stop the suspect. Graeff says that the city employee, seeing what was happening, pulled out his own gun and shot the suspect in the shoulder. "She was on the hood. I saw the guy shoot the carjacker. Then I saw him fall out of the car and he was shaking, just holding his chest. Then he falls on the floor and that's when all the cops start pouring in," said Chris Roberts, an employee at the car wash.
ATLANTA (WXIA) -- The family of Nicholas Thomas and their attorney met with the GBI Friday afternoon. It came after calls from the family and community for the agency's involvement. 23-year-old Nicholas Thomas was killed by Smyrna police officer Sgt. Kenneth Owens at the Goodyear Service Center on Cumberland Boulevard on March 24. It happed as officers tried to serve him with a warrant for a probation violation. 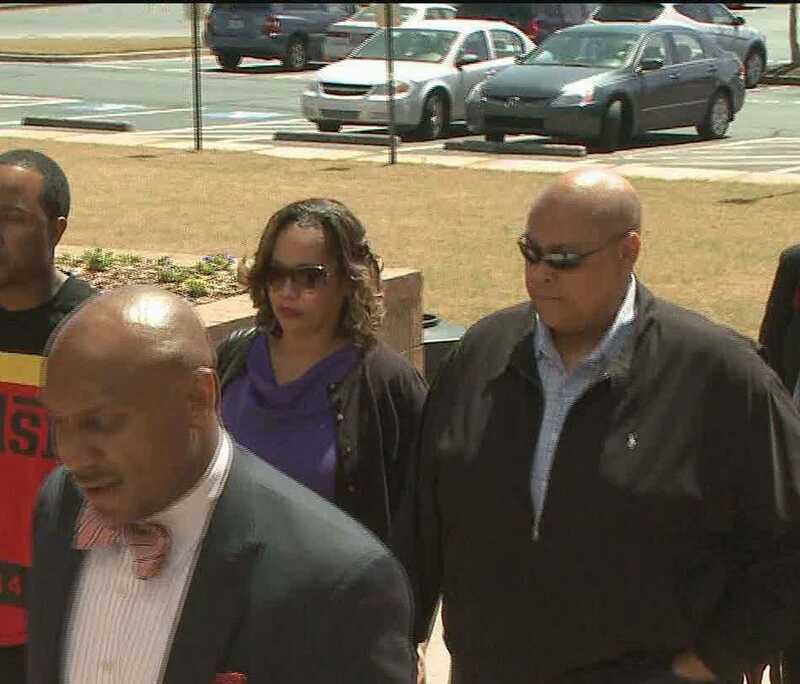 Thursday, the Cobb County District Attorney's Office requested that the agency conduct an independent investigation.